Tasked with creating a new design for ToxiTrace, a part that performs highly complex food safety tests, medical technology specialists, ITL Group, set to work. 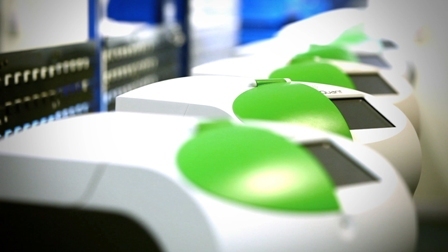 ToxiTrace forms one third of the ToxiMet system, a process which is changing food safety – largely because it’s highly accurate yet easy to use. When the ITL design team were challenged with meeting a critical launch date, while building in time to test different versions, Proto Labs fitted in with their tight schedule. The ToxiMet system, owned by IEH Laboratories & Consulting Group, is used for quantifying very toxic and carcinogenic mycotoxins (toxins produced by fungal organisms) to identify if food is safe for consumption. ToxiMet uses three separate components: ToxiSep (clean-up cartridge), ToxiTrace (measurement cartridge) and ToxiQuant (measurement instrument). 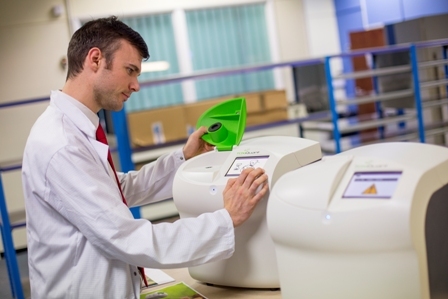 IEH Laboratories (via UK subsidiary Bio-Check UK Ltd), approached Kent-based medical technology specialists, ITL Group, to redesign the ToxiTrace cartridge, following less successful prototypes from other design agencies. The ToxiTrace brief required the design to fit with the wider system components and comply with strict regulatory standards worldwide. The ToxiTrace cartridge consists of four plastic components and a glass capillary, which is designed to attract and capture fungal toxin molecules. 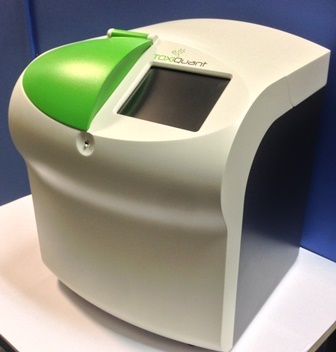 The cartridge isolates and captures the toxins and is then placed in the ToxiQuant instrument, allowing the toxins to be identified and quantified using fluorescence spectroscopy. The redesign of such a high-precision product demanded considerable time and attention, especially as ITL had to explore a range of iterations before reaching a commercially viable version. With the scheduled launch of the ToxiMet system looming, the time for tooling and manufacture was limited. After receiving the project, Proto Labs had 15 days to produce the initial order of 500 ToxiTrace cartridges—a very short time for such a complex part. By being involved from the early development phase of the project, the production process moved quickly. The project then progressed to soft-tooled injection moulding for two larger runs of 1,000 and 6,500.